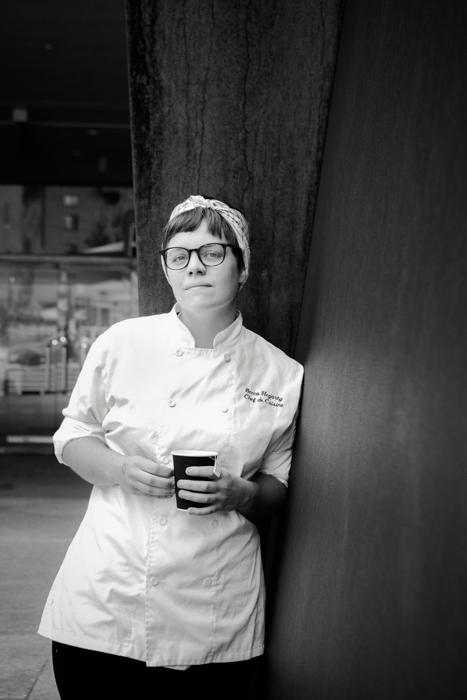 Casey Renee, pastry chef at Whitfield. Photo: Josh Bondi. Pittsburgh continues to shine in the national culinary spotlight with today’s big announcement of the semifinalists for the 2017 James Beard Restaurant and Chef Awards. 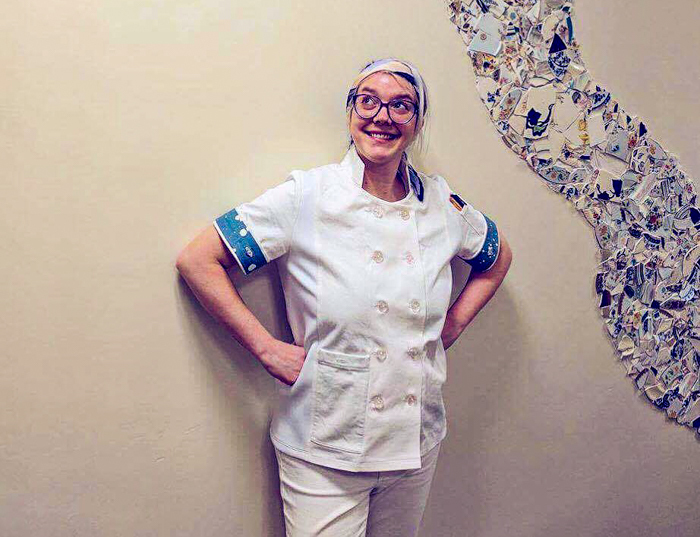 Becca Hegarty, chef de cuisine, The Café Carnegie. 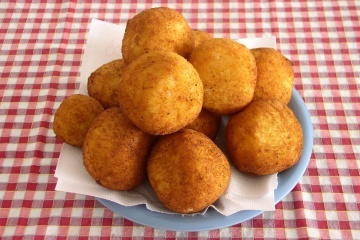 Photo: Laura Petrilla. Becca Hegarty from The Cafe Carnegie is also a first-time nominee. Hegarty is nominated for Rising Star Chef of the Year, a special recognition for chefs age 30 and younger who, according to the James Beard Foundation, display “an impressive talent and are likely to make a significant impact on the industry in years to come.” (We have met her and think she’s great.) Hegarty is honored to be nominated in any category but feels this one has extra special meaning for her. “A lot of my focus is on taking food to new levels and being able to share it,” she says, adding that she takes pride in finding ways to “elevate the food system” through the work she does each day. Wei Zhu is also on the list for the first time as a James Beard semi-finalist, nominated for Best Chef in the Mid-Atlantic region which includes D.C., Delaware, Maryland, New Jersey, Pennsylvania and Virginia. The chef and owner of Squirrel Hill’s Chengdu Gourmet specializes in Sichuan-style delicacies that have become a local favorite. 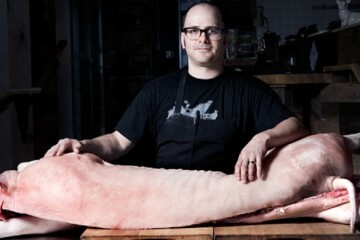 Justin Severino, chef and owner at Cure. Photo: Adam Milliron. 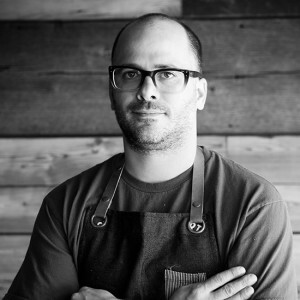 Justin Severino of Cure and Morcilla is among the Best Chef semifinalists for the fifth time. Severino joins Zhu on the list of best chefs in the Mid-Atlantic region. Established in 1990, the James Beard Awards are considered the most esteemed honor in the food and beverage industry. Nominations are in categories ranging from Outstanding Restaurant and Outstanding Baker to Outstanding Service, and also include Best Chef Awards representing different geographic regions in the U.S. The final restaurant and chef nominees, as well as nominations for Book, Journalism, Broadcast Media, and Restaurant Design Awards, will be announced in Los Angeles on Wednesday, March 15. Nominees will be revealed in real time on Facebook Live and Twitter. The 2017 James Beard Awards Gala will take place in Chicago on Monday, May 1. 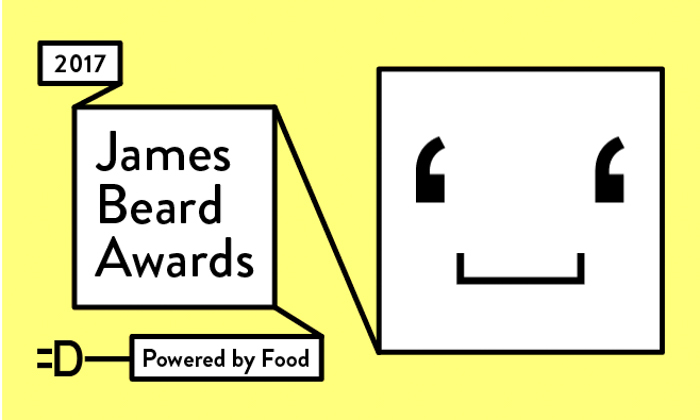 The separate media awards for the James Beard Foundation will be held on April 25 at Chelsea Piers in New York City. See the entire list of semifinalists in all categories, and learn more about how they are selected.